Squash, no need to be super fit as we will pair you up with people of similar ability. 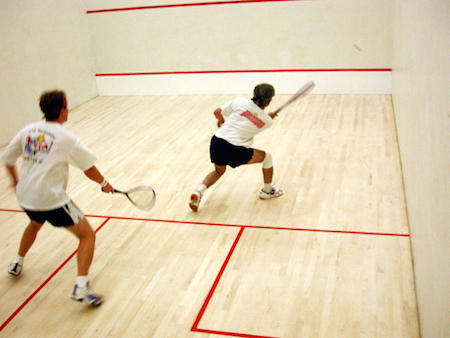 Membership is paid for with just 2 events: squash and badminton. It's a no brainer! If enough weekly interest we will start a squash league where the winner will receive fantastic prizes. Remember to bring a drink to keep you going. Showers and changing facilities available. Session lasts for 45min. Rackets available for hire at £1. I enjoy badminton or football most weeks, all included in my membership.